WHAT WOULD YOU DO IF YOU HAD $1,000.00? Imagine if you had USD1,000.00, what would you do with it? Far-fetched idea? Think again! 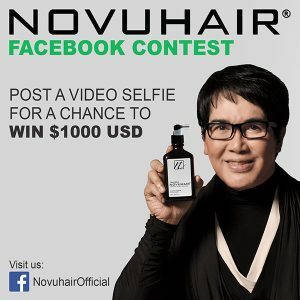 With Novuhair’s “Be a Novuhair Endorser Viral Video Contest” you can b e their next brand ambassador and the lucky recipient of USD1,000.00 in cold cash! 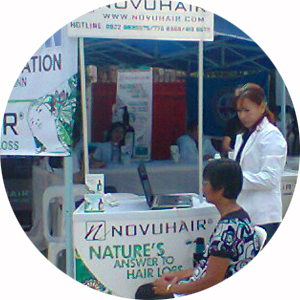 Just let those creative juices flowing and send in a video of yourself saying “Novuhair, nature’s answer to hair loss!” For additional contest details, visit Novuhair Official on Facebook now. And while you’re gearing up on how to be the next online sensation, here’s something to get you inspired – ten things you can buy and do with your thousand bucks. And no, we’re not talking about paying off bills or credit card debts here. 1. Get wired! Upgrade to the latest iPhone model or get a laptop and a tablet to stay connected all the time. 2. Splurge on a designer bag like a classic Louis Vuitton. 3. Plan for the future. Invest in stocks and mutual funds. 4. Invest in health and fitness. Get an annual premier membership at your favorite gym. 5. Whisk off your special someone to a luxurious weekend getaway in one of our beautiful islands – Boracay, Palawan, Bohol or Cebu. 6. Feeling uber-generous? Throw an impromptu party at one of the metro’s top buffet restaurants for 40 of your family and friends. 7. With smart planning, a thousand dollars could take you to three countries in Asia. Backpack your way through Thailand, Cambodia, and Vietnam and experience the different high of traveling. 8. Share your blessings by sponsoring a child’s education for a year through humanitarian organizations like World Vision. Or adopt-a-school in calamity-stricken areas in Visayas by donating much needed supplies and equipment to underprivileged rural schools. 9. Be smart, start a savings fund by using the money to open a passbook account. 10. Pamper yourself! Schedule an appointment with a dermatologist for facial pampering or indulge in heavenly full body massages and scrubs at the spa. Or head over to your favorite salon to update your do’ and give your tresses some tender loving care with some carefully selected treatments. So, what are you waiting for? 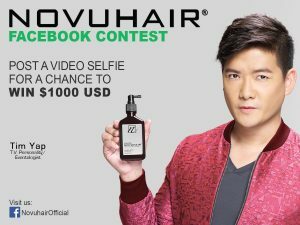 Join the “Be a Novuhair Endorser Viral Video Contest” now for a chance to win USD1,000.00! Promo runs from November 22, 2014 to March 22, 2015(NCR and Luzon only) . 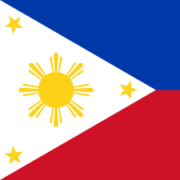 Per DOH-FDA-CCRR Permit No. : 827 s. 2014.
http://www.novuhair.com/wp-content/uploads/2016/04/Novuhair-New-Logo-270-61.png 0 0 Jessica Dela Cruz http://www.novuhair.com/wp-content/uploads/2016/04/Novuhair-New-Logo-270-61.png Jessica Dela Cruz2016-05-27 10:37:262016-05-27 10:37:26WHAT WOULD YOU DO IF YOU HAD $1,000.00?